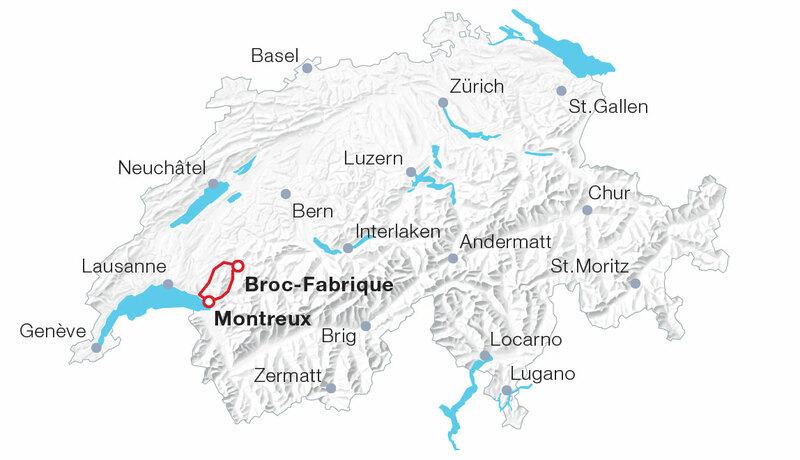 The Chocolate train runs between Montreux and the Cailler-Nestlé chocolate factory at Broc and is a real “must” – not only for the true “sweet tooth” but also for railway enthusiasts. One simply cannot visit Switzerland without sampling Switzerland’s most famous speciality – Swiss chocolate. Montreux-Oberland Bernoise railway has dedicated a whole train to the world’s most delicate temptation. In the stately “Belle Époque” Pullman 1915 vintage coaches and/or modern panorama coaches, visitors travel in 1st class style only.